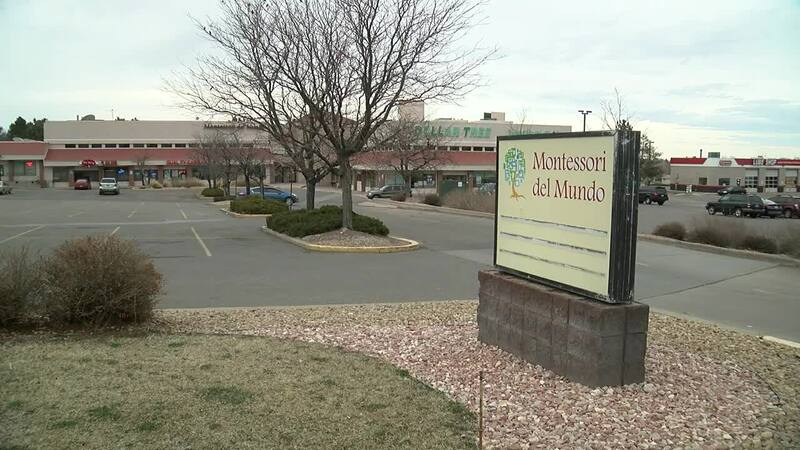 AURORA, Colo. -- Parents in Aurora are concerned about three cell phone antennas recently installed on the roof of Montessori Del Mundo charter school, which sits on a strip mall in the area of E. Mississippi Ave. and S. Chambers Road. They say they are concerned about radiation exposure and cancer, even though T-Mobile conducted two tests on their antennas and found radiation levels are below FCC standards. Jose Cisneros, a parent of two children who attend the school, told Contact7 he was present during both tests - but that did nothing to ease his worries about possible radio frequency (RF) exposure to his children. "The antennas, you cannot be in front of them within 6 feet or they will make you ill," Cisneros said. "That's also posted, so if you imagine the antennas doing that, if you are in front of them, what will they do if they are on top of kid's heads?" T-Mobile points to studies that have found radio frequency exposure does not cause adverse health effects. But for many parents, the studies aren’t enough. "I am very concerned because there is no study that goes over 20 years that can prove that there is something good or bad," Cisneros said. Concerned parents are pointing to a recent case in California where a cell phone tower was removed after four children at an elementary school were diagnosed with cancer. Cisneros says his children are excelling at Montessori Del Mundo school but if the antennas are not removed, he will consider moving them to another school if the antennas are not removed. "Let's keep in mind these are children between the ages of 3 years old and 12 years old, okay, so these are children that are still developing physically. We don't know if they can pick up something," he said.